A long par 4, Driver from the tee down the left side as everything will bounce right. 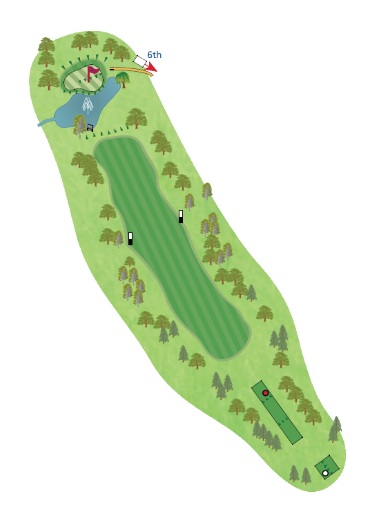 If you manage to stay on the fairway you will have a medium to long iron into another two tiered green guarded by a large lake. Take more club than you think.